The countdown to the Super Bowl is on! T-minus one week and two days! 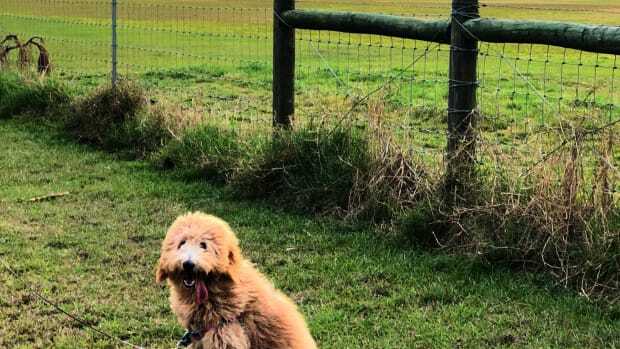 If you&apos;re reading this post, I bet you&apos;re starting to get excited. 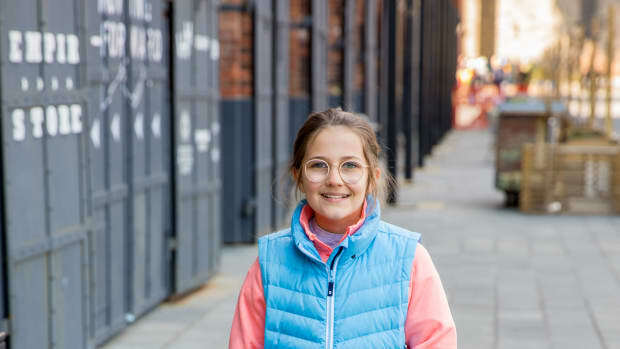 Cheering on your favorite team takes a lot of energy. 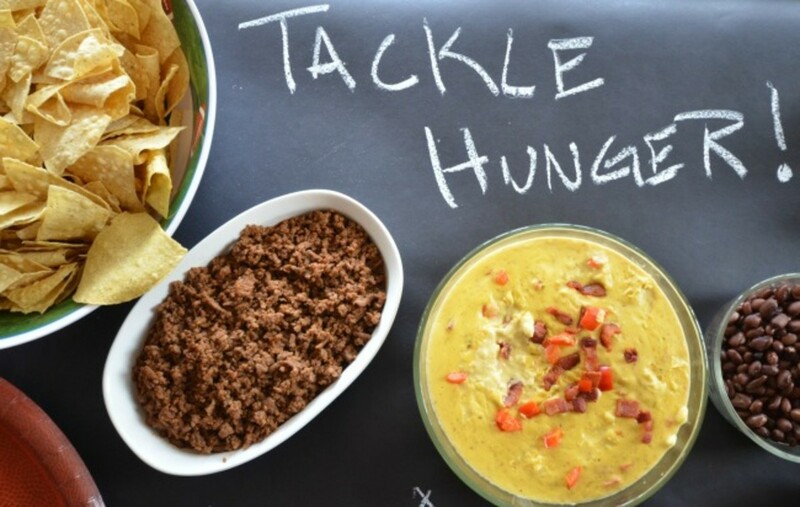 You can "tackle your hunger" with our Super Bowl Nacho Bar complete with Bacon Chile Queso recipe! I&apos;m not much of a football fan, but the rest of my family is, which means football is on every weekend, all weekend. We watch college and pro teams and even my two year old gets into cheering for touchdowns. I&apos;m much more into throwing a party and eating the food! 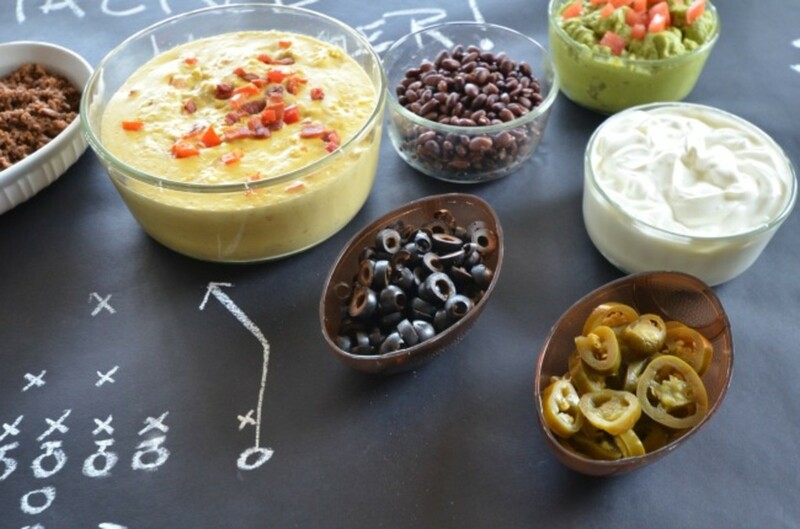 For the big game day, we are sharing our Super Bowl inspired nacho bar that&apos;s so easy to pull together. 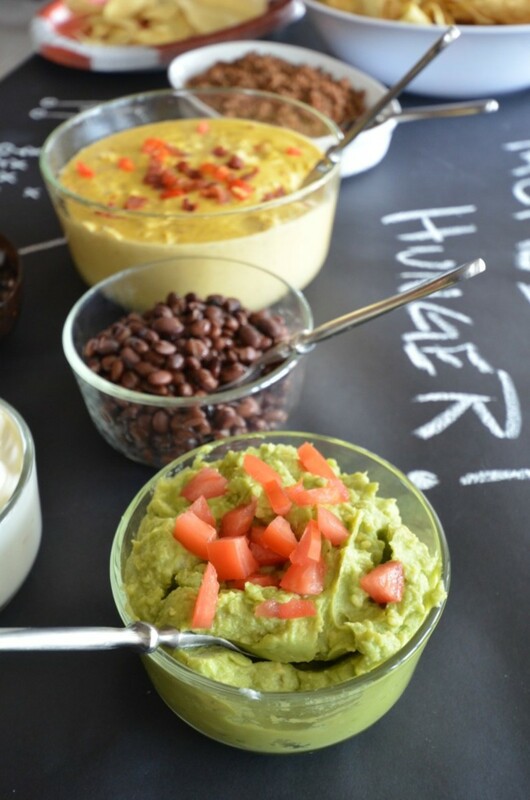 Super Bowl parties are definitely laid back affairs, and a nacho bar suits them perfectly. 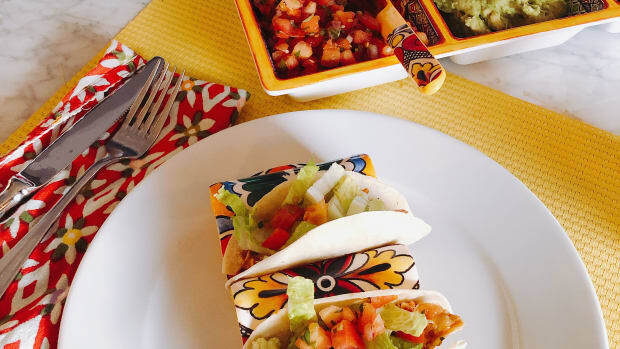 A nacho bar is fairly easy to pull together, even at the last minute. Toss out some chips and a variety of toppings and you&apos;re good to go. 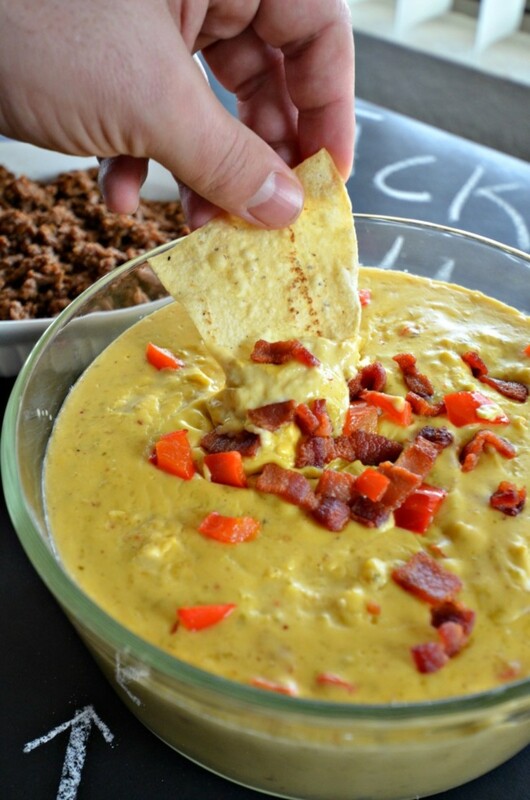 Throw in a couple of beers and our bacon-queso dip and you&apos;re golden! 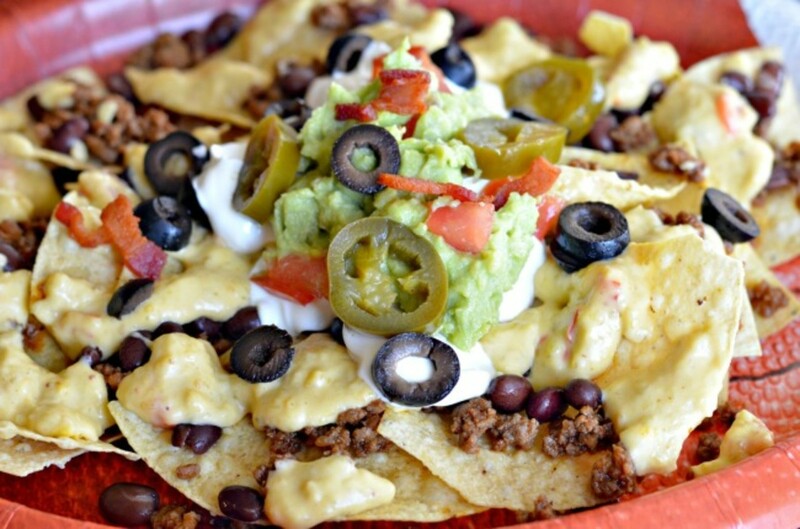 Alongside our bacon-chile queso, we served taco meat, black beans, guacamole, sour cream, olives, and jalepeños. 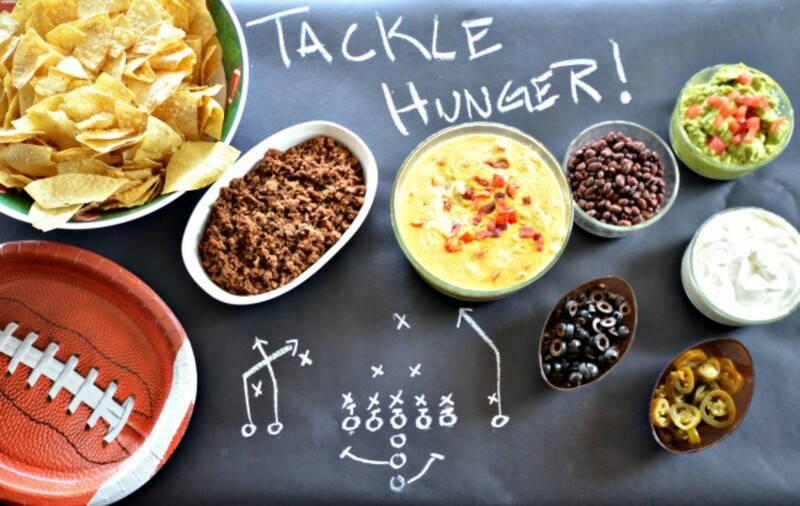 Wrap your table with chalkboard paper from the craft store and draw a couple football plays on it with chalk. These simple touches instantly transforms your table into a locker room play board! 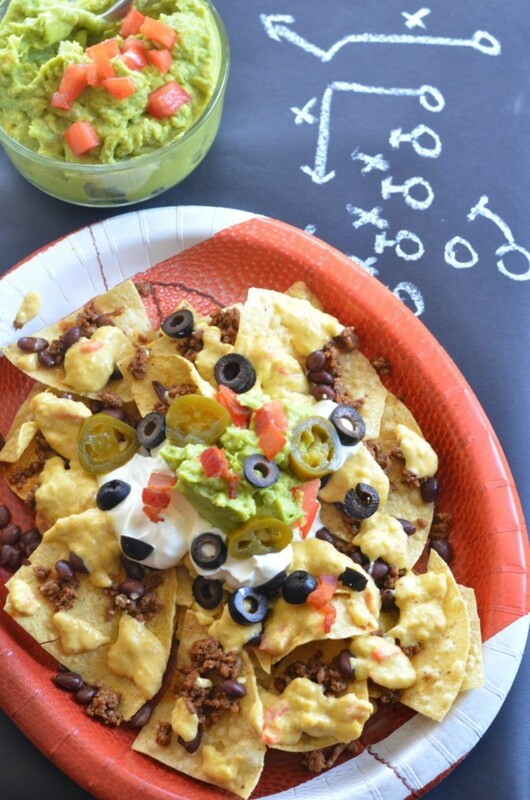 We picked up some cute football shaped mini bowls from the party store and served up the nachos on football plates. Our Bacon Chile Queso is sure to please your crowd, big or small. I mean, it&apos;s got bacon people! It might even be more exciting than the game! In a medium sauce pan, cook your bacon until crispy. Remove the bacon from the pan and drain on a paper towel. Drain off almost all of the grease but leave just a little bit in the pan. Cook your chopped red pepper in the bacon grease for a few minutes over medium heat until tender. Add in the Velveeta cheese cubed and cream cheese cubed and let melt some. 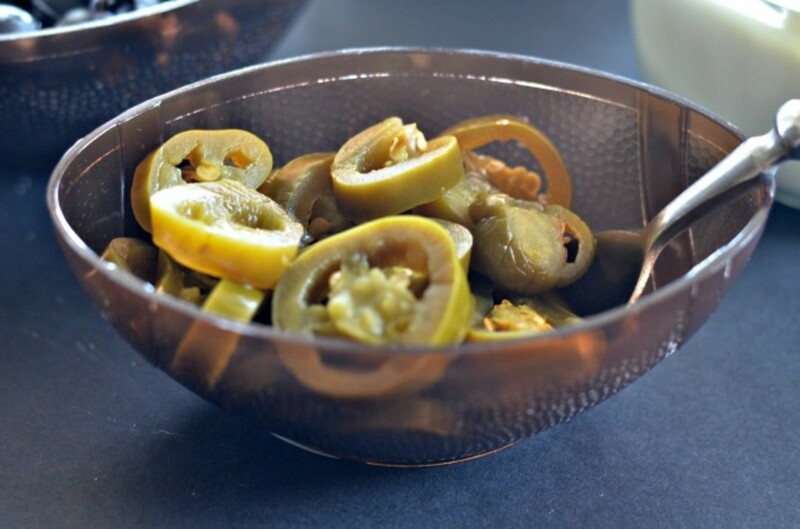 Stir in the jar of salsa verde and mix well letting all the cheese and flavors come together. Add the bacon back in, leaving some for topping if desired. Serve immediately! 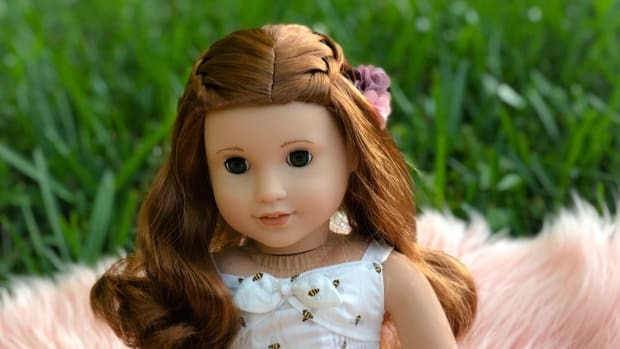 For more Super Bowl inspiration, visit Momtrends.